Since the presidential election schools across the state are seeing more students bullying and harassing classmates. It's happening so much, State Superintendent Brian Winston released a statement Monday saying that behavior needs to stop. His letter blames the bullying at least partially on the national debate going to a new low during the presidential campaign. He wrote, "educators at all levels, from principals to teachers to parents, help their students understand that bullying and intimidation - in word and action - is unacceptable and will have consequences." 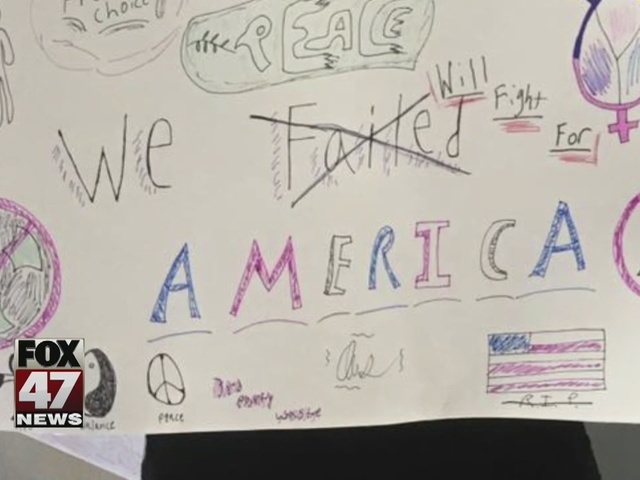 Last week 14-year-old Angela Demas brought a sign into school that said, "We Will Fight For America." The sign didn't get that reaction. "She was surrounded by a group of older boys who started shouting at her and they started screaming 'lock her up.,'" her mother Susan recounted. "She wasn't trying to cause any trouble, she was just standing up for what she believed in." After a meeting with the superintendent on Monday Demas said she's confident the school is taking the right steps, both disciplining the students and looking at ways to ensure students feel safe. "I wish they had thought what it was like to be in her shoes, it's pretty simple and I thinks it's easy for a lot of us to lose sight of that ," Demas added. 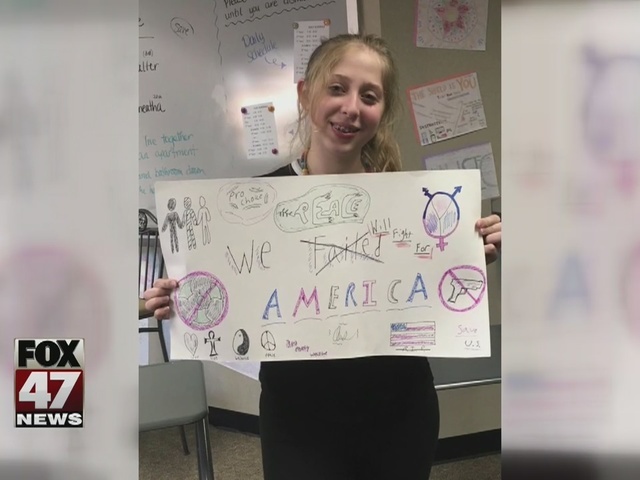 Superintendent Catherine Ash sent a letter to parents saying multiple students have been bullied with other students "repeating the harmful, devaluing, prejudicial rhetoric that was modeled for them throughout the presidential election." Ash assured parents the school district was doing everything it could to prevent future incidents. "We will continue to do our part to ensure all students feel safe, respected and valued." Michigan State Psychologist Dr. Farha Abbasi said acting now is key. "This whole campaign has been triggers," she said. While bullying isn't new Dr. Abbasi says the election pushed it to another level. "It has been escalating the behavior of the bullies and making the trauma worse for the vulnerable," she explained. Dr. Abbasi says that can make students on both sides more likely to develop mental and physical health problems. "It can impact their relationships, it can impact their academic careers," she noted. But punishments only go so far, since kids need to understand the consequences of their action. "These are not funny anymore, these are not just imaginary fears we have," Dr. Abbasi said. It's a conversation Demas hopes will make other students think twice before acting. "I know my kid is going to be okay, I worry about the kids that are suffering in silence." Bullying incidents have also been reported at schools in DeWitt, Eaton Rapids and Charlotte.